In today’s world of cloud based storage and reduced equipment sizes, the core of client premises networks have shrunk to fit into, mostly, one core WAN based equipment cabinet and multiple floor distribution cabinets creating the LAN distribution points via distributive fiber links. This eliminated the need to create remote office server rooms and floor wire centers, the legacy process of creating these individual purpose built rooms was a costly and timeous process. But traditionally, these remote server/wire rooms created a safe lockable, air conditioned environment for the networking and distribution equipment. To ensure functionally safe environments, environmental management units was added, access control devices were added to enhance security and record entries, fire detection and extinguishing equipment was added to reduce risk to equipment and UPS’s to increase power stability. Each of these systems required a management system and an individual IP address, to make sense of all the information a manager of management system was added. Can the capital costs and time spent, to create these spaces, be eliminated? Yes, the datacenter in a box product replaces all the functionality required with a singular product that is rapid to deploy, quick to install, setup, configure and simple to manage using a single IP address to manage all the infrastructural requirements housed in a self-contained equipment cabinet. 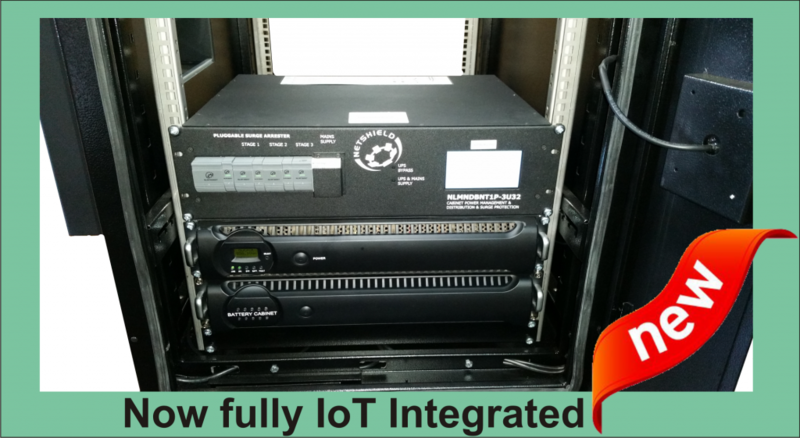 The system, with the same footprint as a standard server cabinet, houses space to mount your networking and distribution equipment and has a single multiprotocol based gateway integrating the cabinet in controlling the integrated access control, fire protection, power backup and conditioning, air conditioning and environmental monitoring sensor (including temperature, humidity and fluid detection) subsystems. This moveable asset simplifies management requirements, recording all events to a centralized database for later analysis and displays current point of presence status information on a user friendly layman’s terms based click through dashboard.